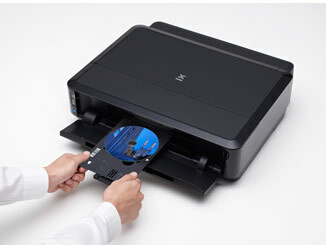 Remove all of the stress from buying a photo printer with our all encompassing guide. We keep this post updated with the best machines for your money, ensuring you'll receive a photo printer you love that suits the images you want to print. You'll find all of the important points to consider when buying, which we keep updated to make sure you always make the best decision. All of these photo printers are for home and photo enthusiasts, they are not professional standard recommendations. Last updated: February 2018. This guide covers all of the best home photo printers you can buy right now in 2018. Consider different brands Just buy Kodak because "they're cheap"
How many photos will each cartridge do? Dedicated photo printers will not give you estimated photo yields for each cartridge, as your usage heavily depends on what you're printing. 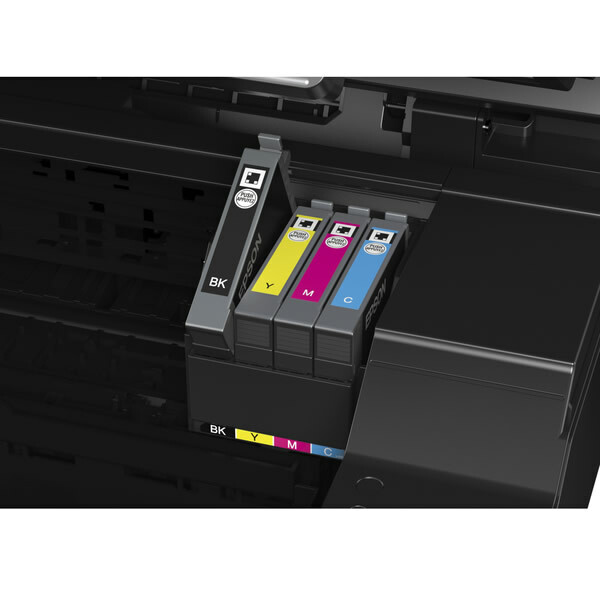 You can compare the capacity of the cartridges instead and check that you won't be using a cartridge every couple of A4 printers though. How many cartridges does the printer take? 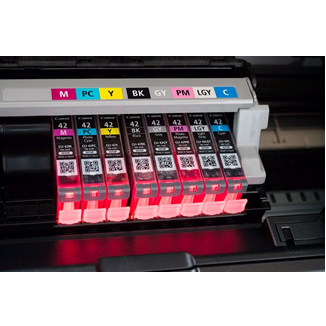 If colour accuracy is crucial for your photo prints then the more colour cartridges a printer takes, the better. This gives you a far wider colour gamut and will make your printouts closer to the original image. Bear in mind, this will make your running costs higher. Will I ever want to print onto special media? 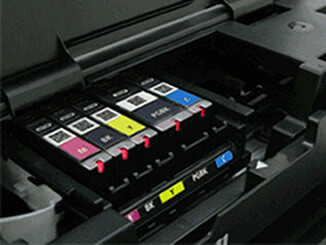 Some photo printers can printer onto specialist media such as extra thick card or fabric. These printers will have manual feeds for specialist media, accommodating a whole range of extra materials you can print onto. Do I need or want any of the following features? AirPrint Print directly to your printer from an Apple device. Card Reader If you use digital cameras or other card-devices a lot, a built in card reader slot saves a lot of time. Duplex Printing onto both sides of the page automatically, a great money-saver if your photo printer will double as an office machine. PictBridge Essential for budding photographers, some printers now even support Wireless PictBridge to automatically connect your camera. Paper Trays Extra paper trays and feeds are ideal if you find yourself printing on different paper frequently. Make a list of what features and requirements you need then start your shopping. Good luck! Canon have long been neck and neck with Epson for the best photo printer options but it looks like they're pulling ahead in the "Best Home Photo Printer" category, with Canon retaining their top position for the fourth year running. 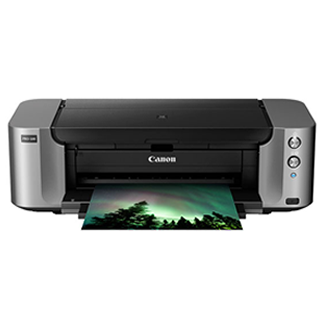 The Canon TS8050 has held top spot for a decent while now, giving fantastic photo prints, great quality, decent running costs; all in a new design that has a smaller footprint than before. You won't find a better machine for photo's outside of the professional £300+ machines and we would buy this without hesitation if we needed a photo printer in our office.Read the full Canon Pixma TS8050 review. 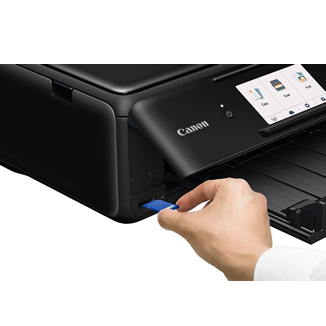 If you print frequently from mobile devices and social media we'd also recommend taking a look at the model up from this, the Canon Pixma TS9050. Amazing photo prints; 2 black cartridges; Touchscreen; Duplex; Wireless. You want one of the best printers out there which has amazing photo prints and can handle other needs. 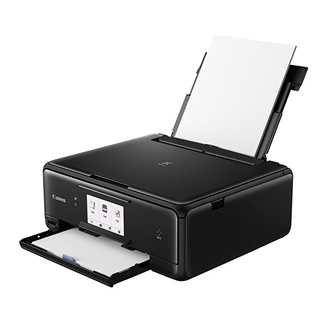 The higher model, the Canon Pixma TS9050 photo printer, is a brilliant option if you print from different inputs and like quick Instagram style filters on the go. It's been over a year since a budget printer was released which came close to the Epson XP-245. It's the successor to our previous recommendation, the XP-235, and provides basically the exact same functionality, performance and reliability, plus excellent photo print results. 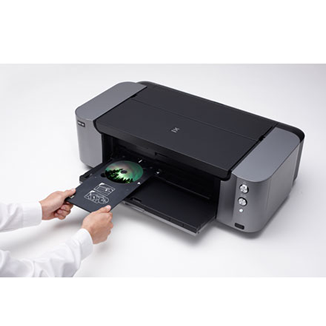 Print quality is excellent for the price, suitable for anything from homework to photo printing, and the wireless & scanning functionality make it ideal for home use. It's not the cheapest to run, budget printers never are, but otherwise it's a solid machine. 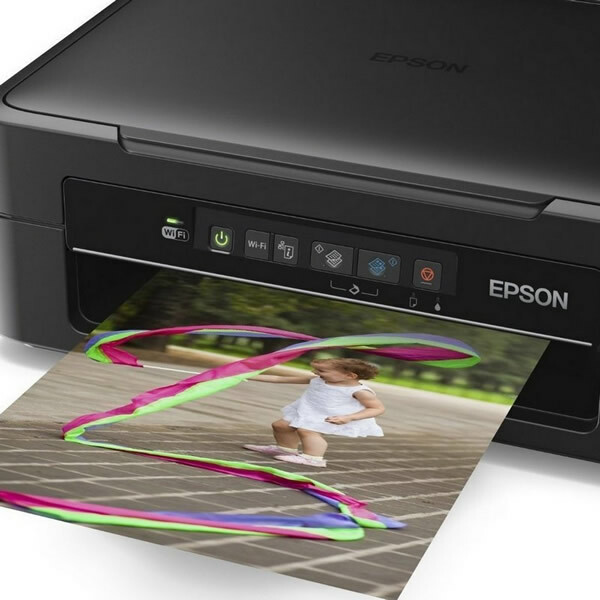 Read the full Epson Expression Home XP-245 printer review. We have a few comments from users unwilling to use Epson printers due to past issues. If you're in the same boat check out the HP Envy 5540. It's more expensive to run but is equally cheap to buy and easy to use. Wireless; Small; Scan & Copy. 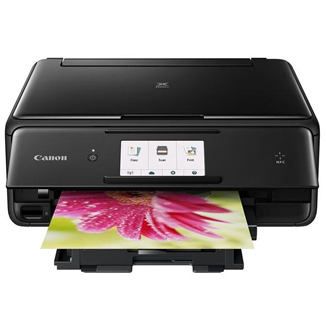 You print a few pages and photos every now and then and need a cheap printer. We often get inquiries for home users that are photo enthusiasts who just want to print, but don't want to spend hundreds on a full blown photo printer. The iP7250 is a brilliant Canon machine that excels at that, and only that. It has dominated our best "just a printer" recommendation for years now, and no new printer in 2018 comes close yet. It can handle any media up to 300gsm, more than heavy enough for all but the most niche requirements. 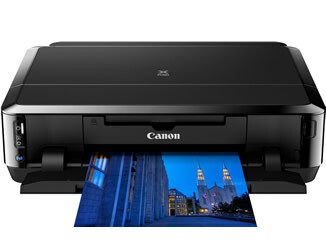 Read the full Canon Pixma iP7250 printer review. Sure, for the same price you can buy a budget Epson printer with a scanner and extra functionality, but if you're not going to use them you can get this excellent printer instead. You want a printer that... prints... very well, with excellent quality on photos especially. A3 photo printing is notoriously expensive, but Canon's entry level A3 photo printer is truly wonderful and well deserving of our top buy recommendation. Utilising 8 ink cartridges, the Pro 100 truly shines doing glossy photo printing, with bright, vivid colours and excellent greyscale reproduction. Due to the inks being dye based its Matte printing isn't perfect, but otherwise you'll be hard pressed to find better bang for your buck! Read the full Canon Pixma Pro 100 review. If matte printing is important to you, or you want a printer that can give you some more functionality/lower running costs, check out the Epson Expression Photo XP-950. It's a brilliant machine. We've had requests for printers to compare against the Pixma Pro 100 so, though we've not had chance to test them ourselves, have a look at the Epson Surecolor SC-P400 or the Canon Pixma iP8750 for a cheaper version. All of these printers review strongly with excellent performance, so you can judge what suits your photo requirements best! Epson Expression Photo XP-950 and Canon Pixma iP8750 for more budget options. 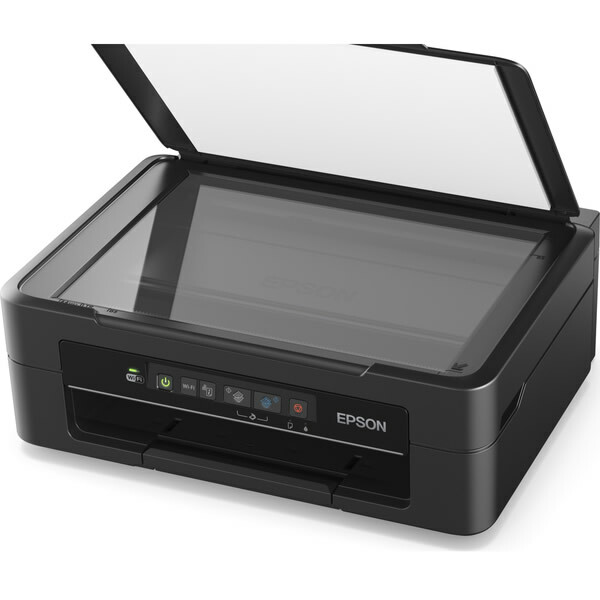 Epson Surecolor SC-P400 for more expensive choices. We have guides for pretty much any printing requirement, so whether it's a new home machine for your inner-artist, or a cheap printer to send away with a student, we have you covered.